An upright judge is used as a pawn by the terrorists to hijack a plane. The militants strike with vengeance to free their most dangerous fidayeen from the Indian prisons, as they hold a hundred passengers in the plane to ransom. Calling the shots for jihadis from Pakistan is once upon a time the right hand man of Osama Bin Laden and now the most dangerous terrorist in the world, Muhammad Zia ul Afridi. With the Prime Minister in a soup, there is only one man to stop the diabolical scheme of the dreaded jihadis—Vikram Roy, chief Secretary of RAW, a dashing young man of action. As the Prime Minister is about to surrender the prisoners, Vikram Roy discovers the most shocking truth about activities inside the RAW. The weary nation holds its breath as the fate of a hundred hostages and the prisoners hangs in a limbo. However, the events that are about to follow are so unforeseen that they shock everyone to the core. The blurb and the story would remind the reader of a lot of events in the news of past. A little predictable a little fresh , the story rushes forward smoothly right from the beginning. There are lot of subtle hints that make the characters resemble some real people and that was quite amusing for me. But at the moment I had given up on the book , the writer turns the tables not just in the story but at the reader too. Well done, I must say ! The writing is simple , conversations light and the whole situation has a ring of credibility built around it. This is not a book that you have to assume that this is all made up. There is just a fraction of reality mixed which have happened or might happen any day. This is a good book for crime fiction lovers. 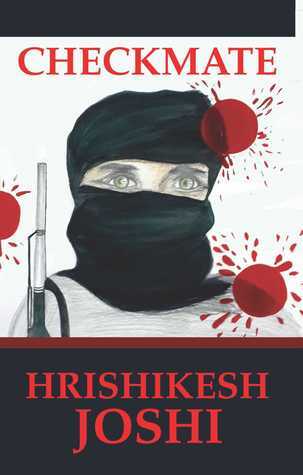 Good attempt at desi thrillers involving terrorists and the agencies that work hard to keep us away from harm.